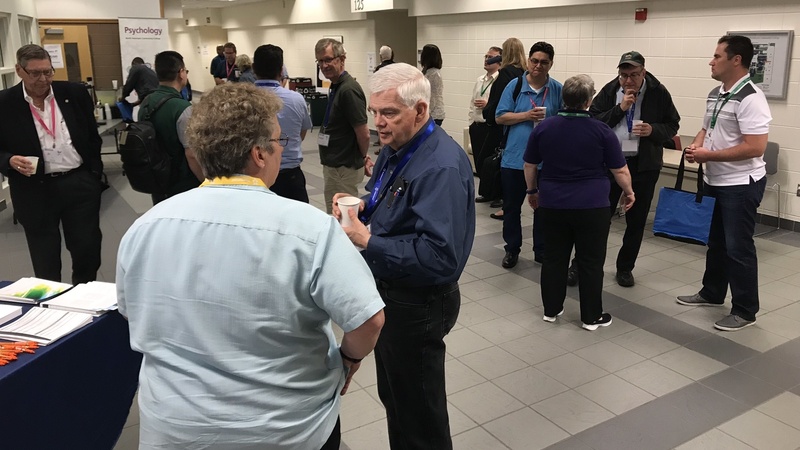 The 2018 New Directions in IT (NDiIT) Education Faculty Conference held on May 16-18 was a success! Nearly 60 faculty and 20 industry leaders came together to share, learn, and create collaborative opportunities. This year we identified 10 potential faculty sponsored work initiatives ranging from Agile Course Module Creation to Data Research Colloquiums. Funding for projects will be determined the week of June 4th! Julie Urban( Veritas) and Mary Lebens ( Faculty member at Anoka Tech) led us through a variety of Agile working methods and concepts. We had Fishbowl, Lean Coffee, Do, Doing, Done and other methods to take back to our campuses and try as faculty members, leaders, and within the courseroom. SAS Speakers, James Harroun and Joseph Indelicato spoke to us about data visualization and the world of Artificial Intelligence. Watching the world of artificial intelligence emerge and hearing the influence of data as a decision making tool cultivated dynamic thinking. We were also pleased to have an excellent panel comprised of I.T. leaders from healthcare, food industry, and marketing. The sharing of thoughts on how data is changing the Minnesota business ecosystem and the world reminded us to “Invite Others to the Table”. — a phrase echoed by panel members to imply the need for inclusivity will follow us into next year’s conference. Lastly we heard from Ed Vasko of Terre Verde Security, who’s presentation on privacy left many of us wondering about our own data privacy. Vasko shared thought provoking ideas and the needed message around fill and closing the gender and ethnic gaps that currently exist and will likely continue to grow at all levels within the employment lifecycle. More information and insights will be provided throughout the next 6 months through blogs and newsletters, so stay in touch and stay informed! Please direct all inquiries and questions to Janice Aanenson at Janice.Aanenson@metrostate.edu or call (612) 659-7221.